You drink the corporate anti-American coffee - you turn on CNN, read your failing New York Times and go back to sleep. You drink the Red Pill Light Roast COVFEFE—you stay in Wonderland, and we show you how deep the rabbit hole goes. 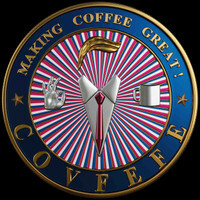 Remember: all we're offering is the truth and the best friggin light roast COVFEFE ever made. Nothing more.